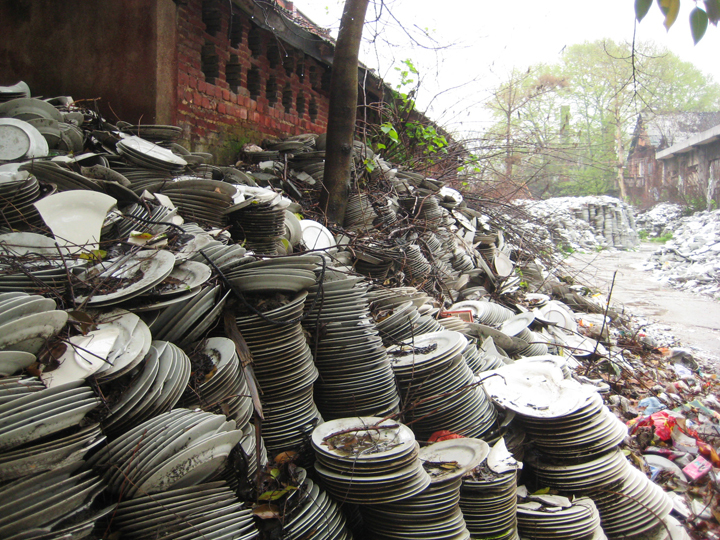 The city of Jingdezhen, China is home to many of the worlds most productive ceramics factories. An average of 4% of the wares produced here are deemed flawed in some way and thereby do not make it to the marketplace. We crush down these plates, vases, and teapots, and use these beautiful shards as an aggregate material within our cast tile and designed objects. 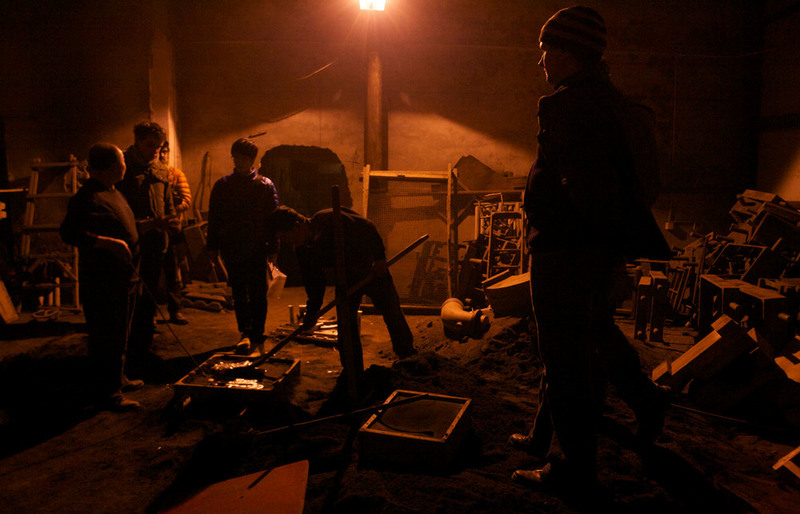 This work is the result of an ongoing collaboration with an aluminum foundry in northern Beijing. 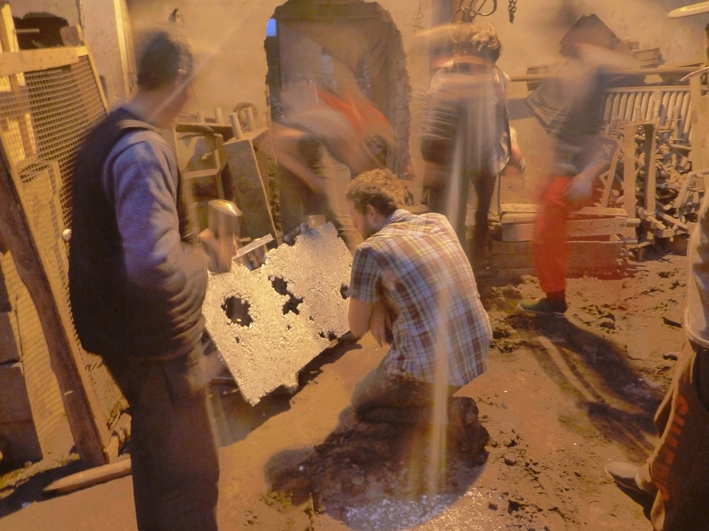 While normally producing parts for machinery, the factory agreed to let the artists use the site for a series of material experiments. The result is not only beautiful tile and designed objects, but also an invaluable cultural exchange through a shared exploration of material, process and craftsmanship.